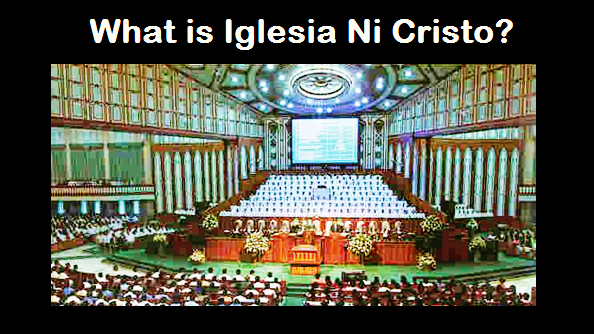 THE IGLESIA NI CRISTO: Is the Roman Catholic Church the One True Church? 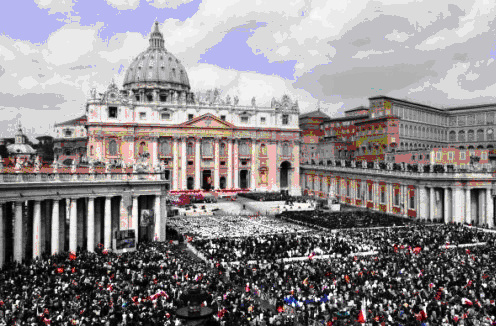 IS THE ROMAN CATHOLIC CHURCH THE ONE TRUE CHURCH BUILT BY CHRIST? It is about time to examine the religion of your birth. It is about time to examine if the Roman Catholic Church is indeed the One True Church taught in the Bible, the one built by the Lord Jesus Christ. let us compare the one true Church built by Christ with the Roman Catholic Church. The Bible said, “there is no other name under heaven given among men by which we must be saved.” The verse further testified, “Nor is there salvation in any other.” Thus, if a church is not called “Church of Christ” it means that there is no salvation in this church. Apostle Peter said, “to you who believe, He is precious; but to those who are disobedient, ‘The stone which the builders rejected Has become the chief cornerstone,’ and ‘A stone of stumbling And a rock of offense.” Thus, it is very clear that Apostle Peter himself testified that the Lord Jesus Christ is the rock where the Church was built. Thus, the Lord Jesus Christ is the rock where the one true Church was built, while for the Roman Catholic Church, Apostle Peter was the rock where they were built. “WAS APOSTLE PETER THE ‘ROCK’ WHERE CHRIST BUILT HIS CHURCH? Thus, the Lord Jesus Christ is the head of the one true Church, while for the Roman Catholic Church, Apostle Peter was their “first head” and they also recognized their pope as head of their church. Indeed, the Catholic Church is not the one true Church the Lord Jesus Christ established, but a different institution. (3) Having different “head.” We can also explicitly read from the Bible that the Lord Jesus Christ is the head of the one true Church or the Church of Christ, while for the Roman Catholic Church, Apostle Peter was their “first head” and they also recognized their pope as head. The “office of the pope” is the most important office inside the Roman Catholic Church because for them the “pope” is the head of their church. Truly, the Church of the Bible has no “pope” and this further proves that the Roman Catholic Church is a different institution from the first century Church of Christ, from the Church of Christ of the Bible. The Catholic Church claims that there are “four identifying marks” of the one true Church which they posses. However, these “identifying marks” they claim are they themselves who made it up. Remember what Apostle Paul said in Romans 10:2-3? Let us examine the “four marks” (unity, catholicity, sanctity and apostolicity) that the Catholic Church claims as the identifying marks of the one true Church and that these can be found in them. The “Eastern Rites” mentioned here are different from the Eastern Orthodox Church. These “Eastern Rites churches” are part of the Roman Catholic Church. The Catholic book we quoted said, “...the (Roman Catholic) Church also includes a number of ancient and vital Eastern Rites.” Take note that within the Roman Catholic Church there are Western Rite and Eastern Rite. Two rites within the Roman Catholic Church, is that unity or being one? Perhaps they have the same teachings, the same rules, the same discipline, the same liturgy? “What the Latin Church calls the sacraments are mysteries in the Eastern Church. While in essence the name, they differ in externals and theological emphasis. “Baptism which admits one to the faith, is followed by confirmation (chrismation) the sealing of baptism in the Spirit, and by Communion. These Sacraments of Initiation establish a total rebirth and so are given at the same time. Thus, in reality, there is no unity in the Roman Catholic Church. OF THE ONE TRUE CHURCH? However, we know that although during the time of the Lord Jesus Christ the Church then was a “little flock” and consists only of Jews, but it is still the one true Church. Thus, being “universal” doesn’t make a church the one true Church. Although the Lord Jesus commanded His disciples to preach the Gospel to all nation, however, the Bible didn’t said that the largest and most widely spread church is the one true Church. Today, aside from the Roman Catholic Church there are many global churches or those that already established missions in different countries of the world. Thus, being “universal” doesn’t follow that that church is the one true Church because it is a biblical fact that one of the “marks” of the “apostate church” is being “universal.” And it is also a fact that “catholic” means universal. The Lord Jesus Christ gave His life for the Church to make her holy, to present the one true Church as a radiant Church, without stain or blemish, but holy and blameless. Now, going back to our examination of the Catholic Church, they claim sanctity or holiness. However, the Bible explicitly explains that we are sanctified through God’s words, and breaking God’s law is sin against God. How obedient is the Catholic Church to the words of God taught by the Lord Jesus Christ and the apostles? “Do not bow down to any idol or worship it, because I am the LORD your God and I tolerate no rivals. I bring punishment on those who hate me and on their descendants down to the third and fourth generation. These are only some of the commandments of God taught by the Lord Jesus and His apostles that are disobeyed by the Roman Catholic Church. The Catholic Church also claims that “apostolicity” is another mark of the true Church. In claiming “apostolicity,” the Roman Catholic Church meant that they can trace their origin to the apostles because (as they further claim) the Catholic Church succeeded the apostles. However, studying the truth written in the Bible will show us that “apostolicity” proves otherwise (“apostolicity” is not a proof of being the true Church, but the proof of being the apostate church). Thus, where is the Church the Lord Jesus Christ established in the first century? It was apostatized as testified by the Lord Jesus Christ Himself and His apostles. Among the bishops of the Church will rise those that will distort the truth, and according to Apostle Paul, this will happen “After I leave.” Apostle Paul is referring to his death (cf. Acts 20:25, 37-38; I ITim. 4:6-8). Thus, after the death of the apostles, among the bishops of the Church will rise those that will distort the truth. Apostle Paul explicitly warned us that those that will follow or succeed them (after their death) will distort the truth. Who is claiming “apostolicity” or that their origin can be traced back to the apostles? Who is claiming to be the successors of the Apostles? We all know the answer to these questions. When the Church of Christ of the first century departed from the true faith and followed the erroneous teachings (teachings not taught by the Lord Jesus and His apostles, and teachings not written in the Bible) like clerical celibacy and abstaining from meat, she became the Catholic Church. This is the reason why the Catholic Church is the one that continued up to this day. Thus, the “apostolicity” (that they are the successors of the apostles and who continued for 2,000 years) is not a mark of the one true Church, but the mark of the apostate church. The apostles warned us that those who will follow them after their death are those that will distort the truth. Unity is only a negative test for truth. If there is no unity, it cannot claim to be the one true Church. The one true Church is indeed marked by unity or being united. However, it is a fact that there is no unity in the Catholic Church. The one true Church is indeed holy for it was sanctified or made holy through the blood of the Lord Jesus Christ. However, sanctity or holiness is also through observing carefully the commandments of God. But because it is also a fact that the Catholic Church disobeyed many of God’s commandments written in the Bible, thus they also failed in this standard. There is no unity in the Roman Catholic Church. She herself was a result of a schism. The Roman Catholic Church is DIVIDED into Latin and Eastern rites. In view of the fact that there is no unity and sanctity in the Catholic Church, they themselves failed in the “standard” that they themselves claim as identifying marks of the one true Church. Catholicity is not a mark of the one true Church. Although the Lord Jesus Christ prophesied that the Gospel will be preached throughout the world (Matthew 24:14), but the apostate church the Book of Revelation prophesied is also spread throughout the world. Apostolicity are not marks of the one true Church but marks of the apostate church. Because the Catholic Church herself claims “catholicity” and “apostolicity,” thus, it is like admitting that they are indeed the apostate church. In view of these facts, we can conclude that the Catholic Church is not the one true Church established by Christ.